Apple surprised many fans last year when it began releasing in-house apps for Android. No, we're not just talking about the Move to iOS app, which helps Android users transfer their data from an old Android phone to a new iPhone. We're also talking about Apple Music, which is an Android app that Apple built from the ground up for Android users in an effort to broaden the addressable market for its music service. The company's willingness to work with rivals took an interesting twist on Tuesday when HTC unveiled the new HTC 10. What does this new flagship Android phone have to do with Apple? 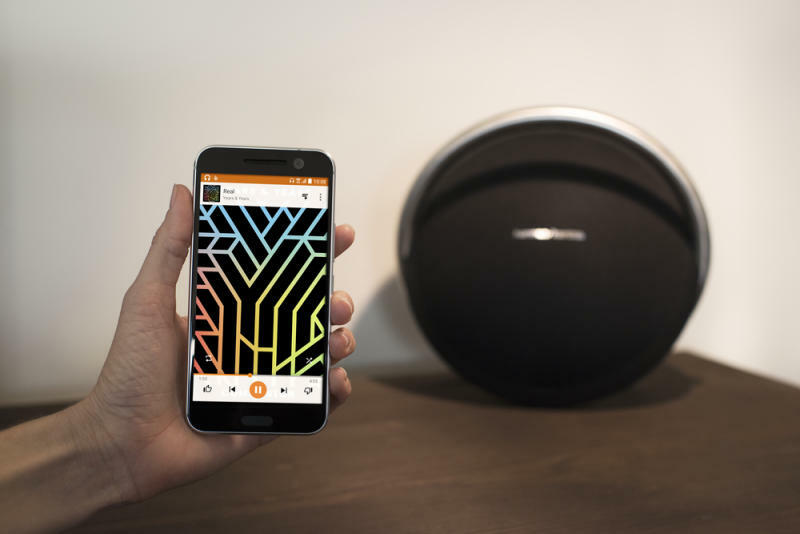 As it turns out, it marks the first time ever that an Android phone will ship with support for AirPlay streaming out of the box. HTC on Tuesday morning unveiled the HTC 10, a fresh new take on the company's earlier flagship phones. The HTC 10 is all about refinement, packing class-leading battery life, an industry-leading camera, and the most responsive touch experience ever seen on a smartphone. But the HTC 10 is also blazing new trails in another interesting area. With the new 10, HTC becomes the first Android vendor ever to launch a phone with support for Apple's proprietary AirPlay wireless streaming standard. HTC is an official licensee, which means the HTC 10's AirPlay support is entirely legit and will be updated as Apple pushes out improvements to its standard. There are some apps in the Play store that add AirPlay support to Android devices, but none offer official support and they all require root access. The only bad news is that the HTC 10's AirPlay support only includes audio streaming and not video streaming, but that's pretty tame as far as "bad news" goes. An enhanced music experience is a big focus for HTC this year, and its updated BoomSound Hi-Fi Edition tech is a testament to that. Adding AirPlay audio streaming into the mix is yet another way HTC's new flagship phone will look to gain an edge over rival devices from Samsung, LG and others.